The ACS Lab was inaugurated on 19th September, 2014 at the Academic Block (Vallabh College Campus), Indian Institute of Technology Mandi, India. On 26th March, 2016, the lab moved to Bamboo Block B (B-08) on Institute’s main campus at Kamand. Lab members come from different fields which include computer engineering, electrical engineering, mechanical engineering, civil engineering, and humanities and social sciences. The ACS Lab contains a high-speed network of several computing machines for experimentation and modeling. Mentioned below is some of the laboratory infrastructure at ACS Lab. The lab has a 32-channel EEG/ERP system from Electrical Geodesics Inc. (EGI). The system includes: 32-EEG channel Geodesic Sensor Nets, Net Amps 400 amplifier with remote upgrade abilities, sampling rate up to 1000 Hz, Net Station 5 EEG acquisition and review software, MacBook Pro, iMac or Mac Pro computer, and hospital grade isolation transformer. Using a net structure to hold the electrodes in place, Geodesic EEG allows all 32-electrodes to be applied simultaneously. The Net Station 5 software features an intuitive interface for fast EEG data acquisition and review. The Geodesic EEG system provides superior whole head coverage over traditional caps while including the standard 10/20 sensor arrays. The clinical applications for the EEG system include: Routine EEG, Long-term monitoring, Pediatric neurology, and Neuroimaging. At ACS Lab, the system is being used to develop neural correlates to behavioral data in several decision-making tasks. Emotiv® 14-channel EEG/ERP headset is an award winning 14-channel EMOTIV EEG system designed for contextualized research and advanced brain computer interface (BCI) applications. The EMOTIV EEG headset provides access to dense array, high quality, raw EEG data using our subscription based software. 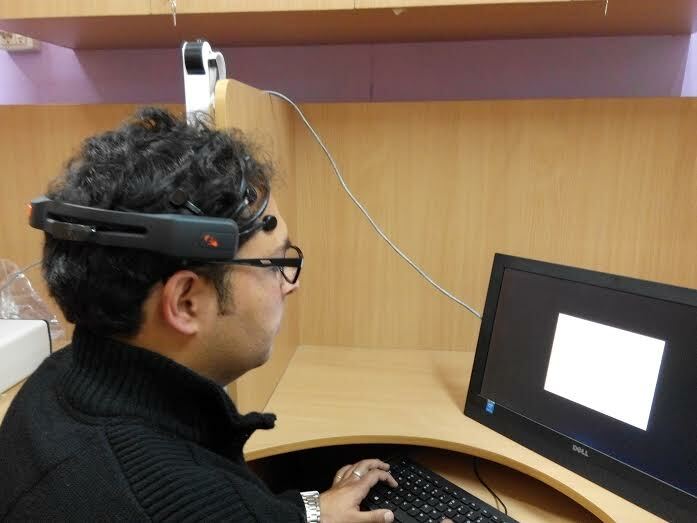 At ACS Lab, the EMOTIV EEG headset is being used to develop for BCI-related HCI projects like a BCI-operated smart-home application. Leap Motion Device is a sensor device that supports hand and finger motions as input, analogous to a mouse, but requires no hand contact or touching. It lets you use your computer in a whole new way. Reach out and swipe, grab, pinch, or punch your way through the digital world. The Leap Motion controller is a small USB peripheral device which is designed to be placed on a physical desktop, facing upward; it tracks your hands at up to 200 frames per second using infrared cameras – giving you a 150° field of view with roughly 8 cubic feet of interactive 3D space. 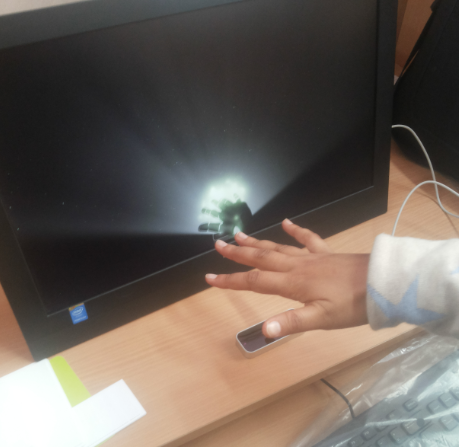 At ACS Lab, the Leap Motion Device is being used to develop novel scenarios for different indirect-vision/virtual reality/augmented reality applications. Tobii® EyeX eye tracker allows one to track eye movements on the computer screen. Using Tobii® EyeX eye tracker, one could investigate a person’s attention on screen The EyeX eye tracker bounces near-infrared light off your retinas to produce patterns that the eyeX sensors capture and interpret. 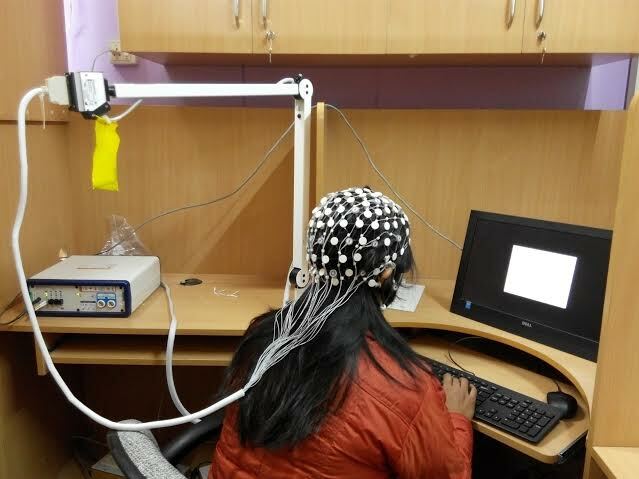 At ACS Lab, the Tobii® EyeX eye tracker is being used in a number of projects where eye-tracking could be useful to investigate attention to stimuli. 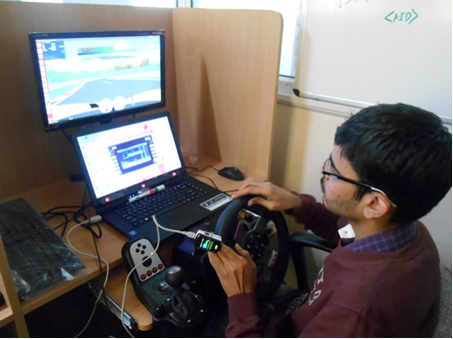 In one of the applications, Tobii® EyeX eye tracker was used to develop a gaze-based interface for driving vehicles in complex road conditions. 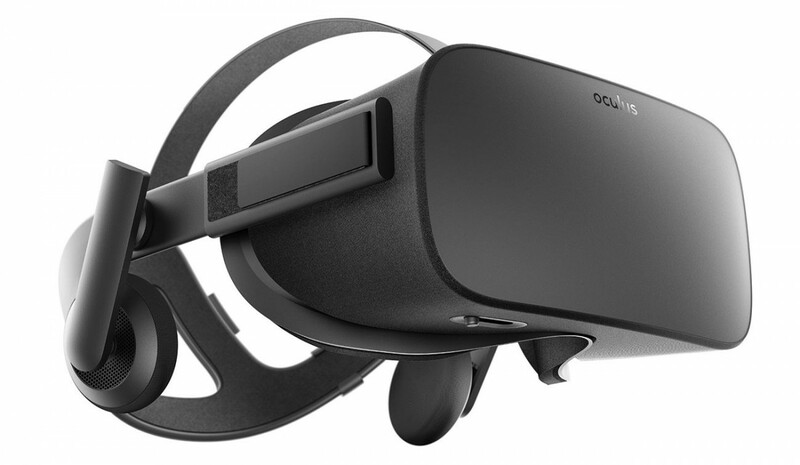 Oculus Rift is a virtual reality headset. The Rift has an OLED display, 1080×1200 resolution per eye, a 90 Hz refresh rate, and 110° field of view. It has integrated headphones which provide a 3D audio effect, rotational and positional tracking. The positional tracking system, called "Constellation", is performed by a USB stationary IR LED sensor, which normally sits on the user's desk, and pinpoints the entire room with infrared and LED lights, which creates 3D space, allowing for the user to use the Rift while sitting, standing, or walking around the same room. At ACS Lab, Oculus Rift headset is being used for developing defense-related scenarios involving use of virtual reality. Google Cardboard is a virtual reality (VR) software platform developed by Google for use with a head mount for a smartphone. Named for its fold-out cardboard viewer, the platform is intended as a low-cost system to encourage interest and development in VR applications. 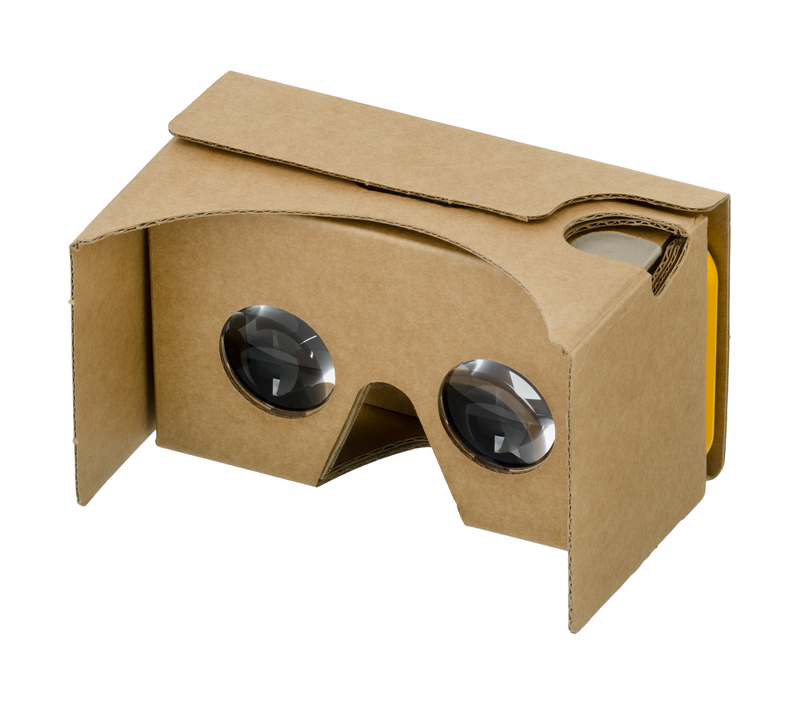 Google provides three software development kits for developing Cardboard applications: one for the Android operating system using Java, one for the game engine Unity using C#, and one for the iOS operating system. At ACS Lab, Google Cardboard is being used for developing defense-related scenarios involving use of virtual and augmented reality. Other lab infrastructure includes Logitech® Driving simulator, Contec Oximeter, Xbox Kinect, and a HP® workstation.